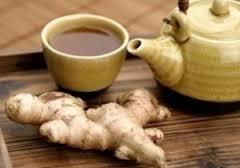 Bandrek is a warm spicy ginger drink for those cold nights. Made from warm spices simmered in hot water and traditionally served in cold weather, bandrek tickles the tongue, warms the belly, and purportedly wards off colds. It originated from West Java in Indonesia. The Sudanese people say it cures mild ailments. Bandrekalso increases blood circulation and helps aid in colds. Did I mention it tastes delicious? It should have a deep brown look with small particles in it. Once the true flavor has been extracted it should go smoothly over your tongue and create a bite at the back of your throat. It should also have a sweet aroma to it. Add all the ingredients except the sugar into the boiling water. Boil for ten minutes stirring occasionally. Strain and add the brown sugar. Pour into cups and add the other halves of the lemon grass and cinnamon sticks for aroma and extra flavor.Serve in warm.